We had the opportunity to do some amazing adventures. It rained almost the entire time we were there, but on the last day as we were leaving the Sonaisali Resort for the airport there was a clearing in the sky. I grabbed my camera and snapped this shot as the sun set. It was the last image I took from Fiji and one that I will remember. If you ever get a chance to go to Fiji do not pass it up. The scenery is beautiful bit the people are even more friendly than you can imagine. So sit back imagine the warm fijian air in your face and smell the rain in the air, then you may just have a quick escape to Fiji. 11 Responses to "A Fiji Sunset- Snapshot Sunday"
Wow fantastic post i love this post thanks for sharing this imagine post. Wow, bad weather seems to be a common theme among all of us traveling lately. Still, this is a stunning photo. I wouldn’t mind being there right now. .-= Gray´s last blog ..Highlights of Costa Rica for Solo Travelers =-. This picture is amazing, I’m a bit jealous, we’ve not seen that many good sunset shots so far on our travels! .-= Cam´s last blog ..Drinking Beer Around the World – Part Five =-. 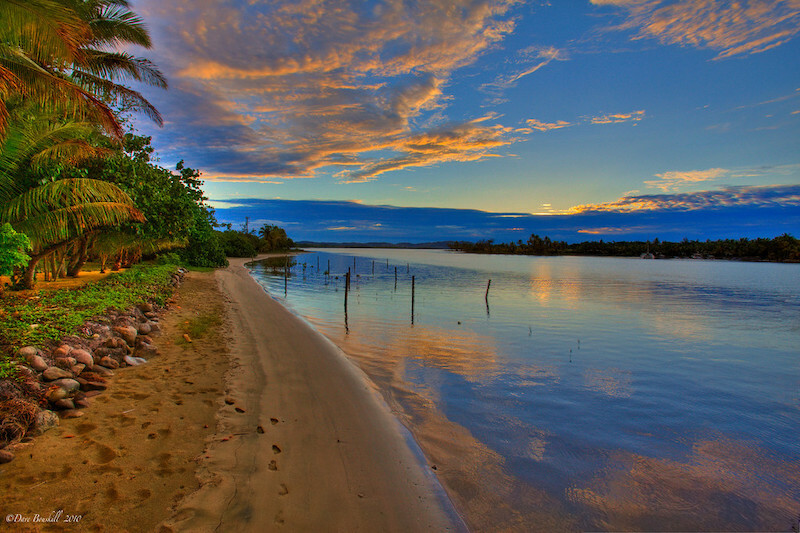 Wow – I’ve always heard how beautiful Fiji is, but this photo is incredible…..what a paradise! .-= Trisha Miller´s last blog ..Is Self-Publishing Your Book Right For You =-. .-= Bethany´s last blog ..Melbourne’s Top Sporting Events =-. .-= Jill – Jack and Jill Travel The World´s last blog ..How To Survive Long Airport Layovers =-. OMG absolutely beyond amazing, I looooove the reflection of the clouds in the water. .-= Andi´s last blog ..Cuba- Day 5 Part 1 =-.